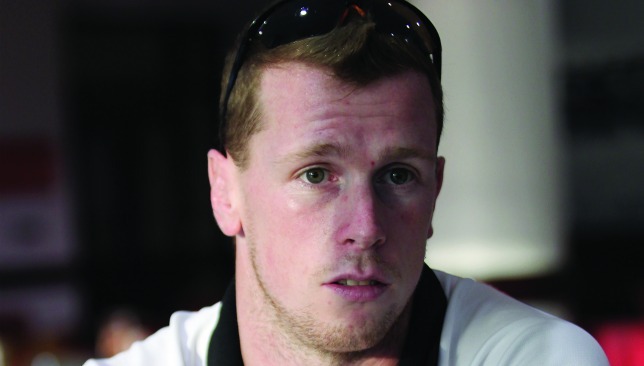 Brian Geraghty is back for a second stint at Abu Dhabi Harlequins. They sit atop the early West Asia Premiership table, perhaps surprisingly so after an arduous off-season, but Mike McFarlane has warned Abu Dhabi Harlequins that the hard work has only just begun. Quins were predicted to struggle this season after another tumultuous summer involving player departures and fears over finances, not to mention their return of just two minor trophies from the 2017/18 campaign. 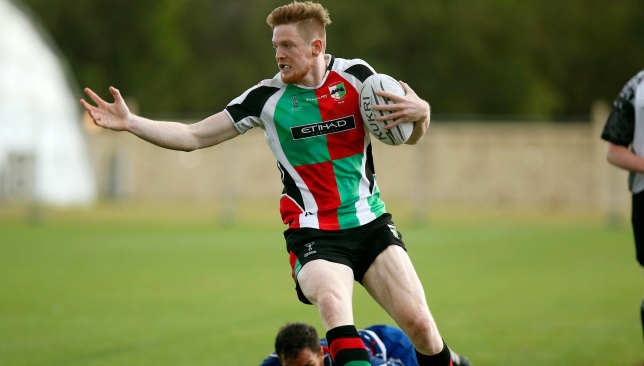 The major honours – West Asia and UAE Premiership, Dubai Sevens and West Asia Cup – were claimed by their three main rivals Jebel Ali Dragons, Dubai Exiles and Bahrain, prompting suggestions that trio’s rise would contribute to Quins continuing to struggle. Yet it is Quins that lead the way after five games – McFarlane’s men posting four wins from five and leading the table by a point from equally impressive Bahrain. But the Englishman is not getting too carried away, despite seeing the returning Brian Geraghty cross for two tries as Exiles were swept aside 44-20 at The Sevens on Friday night. “We are chuffed to be where we are but it’s a long season and we know the hard work has just begun,” said McFarlane. Quins coach Mike McFarlane has warned his side of getting complacent. “It’s been a tough start to the season with multiple injuries and unavailability every week but the players are training hard in all teams and players stepping up have jumped in seamlessly and the boys have got results. The return of Irish centre Geraghty is a huge fillip for Quins. It was his departure last summer – along with Willie Umu and Patrick Jenkinson – which started the slide as Quins relinquished their grip on four of the five trophies they had amassed during 2016/17’s quintuple. Defeat brought to an end a three-game winning sequence for Jacques Benade’s Exiles – who are third in the table, five points adrift of Quins. “I’m really impressed and proud with the commitment of all the players throughout the teams as we put three men’s teams out again at the weekend when times are really tough with numbers,” added McFarlane. “To come away with two comprehensive victories against a table-topping rival is outstanding. Elsewhere, Premiership champions Dragons got back to winning ways with a morale-boosting 31-14 win at Dubai Eagles. In a mirror image of Exiles’ start to the season, Dragons had lost three on the bounce since an opening day victory. That maiden win came against Exiles, who are Dragons’ opponents next weekend in Jebel Ali. The champions are 10 points off the pace being set by Quins and skipper Ross Samson knows a double must be done over Exiles, otherwise their chances of repeating last season’s heroics will be finished. “Exiles is a must win or our season is over,” the Scotsman said bluntly. The boys put on their most complete performance of the season yesterday, with a convincing 6 try, bonus point win over the Canes! “We got back to winning ways against Eagles but we dropped a few over the line and our discipline so far has been poor. We’ve had a yellow or a red card in every game – three against Bahrain and we only just lost. Eagles have played well in five defeats this term, yet prop up the table with only one bonus point to show from five encounters. “It was a tough day at the office again,” said Eagles fly-half Sean Carey, who missed the game along with several other key men. The biggest margin of victory on Friday came in the west of the region as Bahrain trounced visitors Canes 45-15. With the season a third of the way through, their clash with Quins in Saar next weekend already feels seismic. Courtney Lawes has emerged as a doubt for England‘s autumn opener against South Africa due to a back injury that initially flared up three weeks ago. 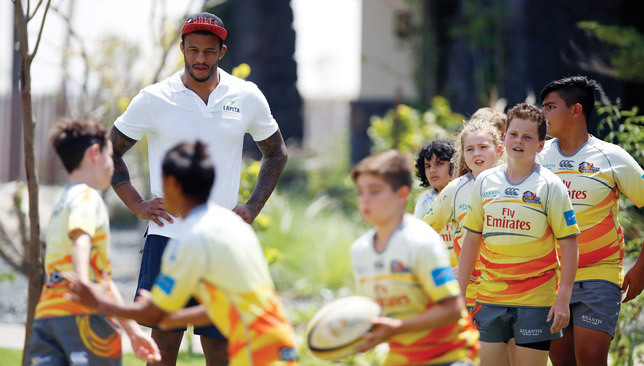 Lawes is to leave the squad’s training camp in the Algarve to receive specialist treatment in the UK, placing a question mark over his involvement in the first of four internationals at Twickenham next Saturday. The issue first surfaced on the day of Northampton’s defeat by Leicester on October 6, a back spasm incurred after sleeping in a hotel bed that was ill-suited to his 6′ 7” frame the previous night forcing him to withdraw during the warm-up to the game. He has played once since – at home to Clermont – and must now prove his fitness if he is to face the Springboks. “Courtney Lawes will return to England for specialist treatment on a pre-existing back injury,” forwards coach Steve Borthwick said. Ben Smith goes over for one of five NZ tries. 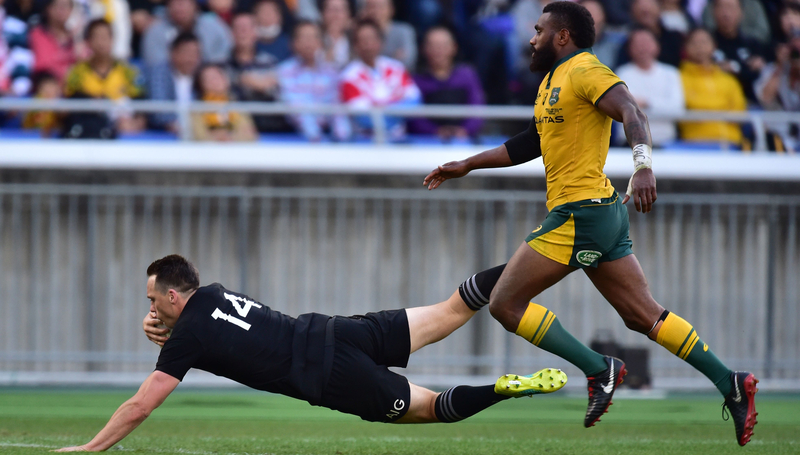 New Zealand made it a clean sweep in the Bledisloe Cup with a 37-20 victory over Australia in Yokohama. Outside-half Beauden Barrett contributed 17 points and was among the All Blacks‘ five try scorers. Liam Squire, Kieran Read, Ben Smith and Rieko Ioane also crossed as New Zealand, 17-10 ahead at the break, eased away in the final quarter. Sefa Naivalu and Israel Folau scored Australia’s tries with Kurtley Beale kicking a penalty and Bernard Foley adding two conversions.